I have a number of books by authors who wrote near the turn of the century--the 20th century--that I grew up with and love. What a joy it was to have an experience last summer that was specifically related to my love of all things book and history. I got together with three close friends who are also writers for a mini-writer's retreat in Branson, Missouri. We went sightseeing one day, after I'd expressed an interest in one of my favorite authors, Harold Bell Wright, who lived in Missouri over 100 years ago. Harold Bell Wright wrote 19 books in the early 1900's, with the most famous being The Shepherd of the Hills, which sold over one million copies and made him the first writer who earned over one million dollars on fiction. We were looking for the Harold Bell Wright museum, which we eventually found, but first Cheryl accidentally stopped at what she thought was the museum. I was thrilled to discover she'd made a wonderful mistake, when we got out and started looking around. I couldn't believe what we'd stumbled upon. It was the actual location of Matt's cabin...the man who was the hero of Shepherd of the Hills. Wright had met Matt in the Ozark Mountains and wove his book around him, his family, and the cabin where he lived. The picture to the right is Matt's actual cabin, now over 100 years old. In the foreground is the well, and beyond is a barn, outhouse and woodshed. It was after hours, so we weren't able to go inside, but I was happy to be able to peek in the windows and get pictures of the area. On up the path we located the restored Shepherd of the Hills church that the family and community attended. Later, we did find the museum, and I got to see artifacts from his writing, such as several manuscripts, his writing desk, personal family furniture, his vast fishing collection of rods, lures, tackle boxes, and more, along with a lot of misc. items. I was amazed to discover what a talented man he'd been. Not only had he been a pastor in his early years before switching to full-time writing (believing he would reach many more people that way), he was also a baseball player and an artist. I've included a photo below of a couple of his paintings hanging in the museum. I purchased a 30 minute DVD narrated by his son, Norman, and I'm anxious to watch it. I'm also going to try to carve out time to read a couple of my favorites books of his again. If you're interested, I believe many of his books are now out of copyright and can be purchased at a very low price on Kindle, and some of them may even be free. It was a thrilling adventure for an author who is also an avid reader, to stumble across such treasures from one of my own favorite authors! Next month we'll investigate another favorite of mine, Gene Stratton Porter. Miralee Ferrell’s debut novel released in the fall of 2007, and sixteen more have followed since. 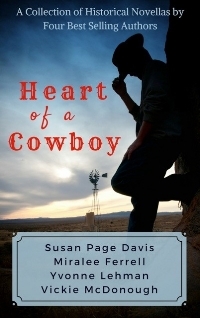 Her historical western romance, Love Finds You in Sundance, WY, won the Will Rogers Excellence in Western Fiction award in 2012, and her first book in the four-book Love Blossoms in Oregon series, Blowing on Dandelions, hit the ECPA Best Seller list, along with The 12 Brides of Christmas. Since then she’s ventured into writing horse novels for middle-grade kids, and opened her own publishing company, publishing Christian novels. 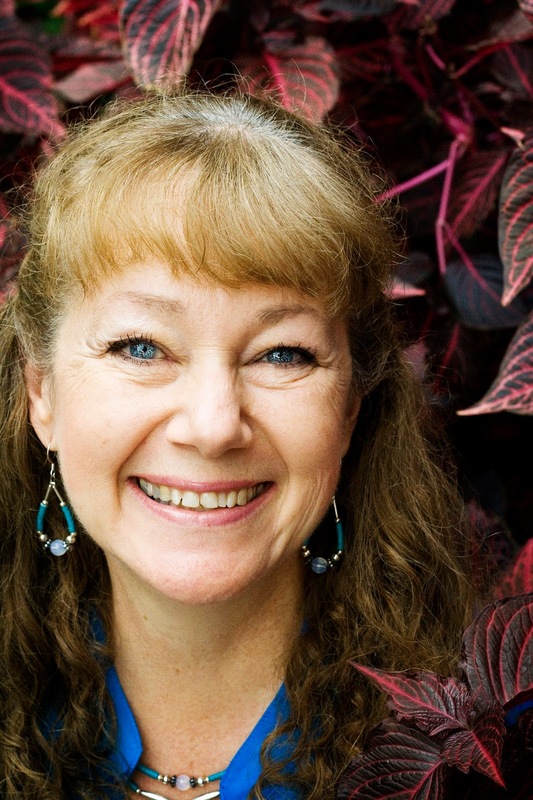 Miralee and her husband have been married over 40 years and live in the beautiful Columbia Gorge in WA State, where she loves to ride horses, garden, take walks, play with her dogs, and minister to women. Miralee's newest book, Hearts Reunited, is included in a new historical romance collection releasing March 1, titled Heart of a Cowboy. Four novellas from best-selling authors Susan Page Davis, Miralee Ferrell, Yvonne Lehman, and Vickie McDonough. Thanks, Miralee. As soon as you mentioned a book collection, I knew this column had to be by you! :) Anyway, I'm unfamiliar with Wright's work, but I just ordered one of his books. Glad to find a new author from the past. Which book did you order, Linore? I can give you a list of my favorites. And of course, I always suggest starting with Shepherd of the Hills. I read Shepherd of the Hills years ago--decades ago--and now I want to read it again! Thanks for sharing highlights of your trip to Branson. Sounds like fun! Johnnie, I think I've read it about 3 times over the years. It's going to be time to read it again soon. I love his work! Robert and I have seen the Shepherd of the Hills play several times in Branson. The area is a neat place to visit. It was a real treat, even though we didn't get to see the play. We got there too late for the building or play to be open, but it was still great to see the cabin and grounds. The library where I worked for almost 23 years carried all of Wright's books. Thanks for your post!